Begin as a student and graduate with the skills of an in-demand manager when you join HTMi Australia's Diploma in International Hotel and Tourism Management. With this course, you'll be well prepared for a career in on of the most exciting industries – hospitality and tourism! The Swiss-based qualification is recognised for providing high class, state-of-the-art hospitality training. Cover how to work effectively with others; provide service to customers, manage operational plans; manage conflict; lead and manage staff and much much more. Plus upon graduating you'll receive 12 units of credit that can be used toward completing a Bachelor of Business in Hotel Management at The Hotel School. HTMi is dedicated to building your skills both inside and outside of the classroom. Thanks to HTMI's strong partnership with AccorHotels you'll have the opportunity to take on a paid internship program where you'll master the skills to meet the demands of your clientele; build industry contacts; work in a team and gain exposure to industry practices. Work placement will be completed across five months of each study year and will give you the chance to learn first-hand how to deliver exceptional hospitality service. Mature age students will also be considered without the minimum education requirements but with relevant work experience within the chosen area of study and a demonstrated capacity to meet the course requirements. Tourism Studies – This unit provides students with an understanding of the global environment within which the travel and tourism industry operates. Contemporary Issues in Hotel Studies – This unit introduces a modern perspective on the hospitality industry, in which students actively research contemporary issues and trends in the tourism and hotel sector. Culinary ( Theory and Practical )- This unit enables students to gain knowledge of the equipment, commodities and methods required to prepare and cook food, as well as develop basic skills in preparing, storing and cooking. This includes all standard Australian WHS and Hygiene practices training. Information Technology 1- Introduces students to the basics of information technology and its application and possibilities in the Hospitality Industry landscape. Entrepreneurial Project Year 1 – Students combine their learnings from their first year, and develop them in a creative and fun way, allowing them to see the close inter-relationships that exist between the subjects in the course. Hotel and Resort Management – Enables students to describe the complexities involved in the design and development of a new resort, thereby enhancing their knowledge of the five star hotel and resort industry. Hospitality Finance 2 – Students will learn the elements required to control and manage the main financial aspects of the key operational departments within a Hotel. Introduction to Marketing – Students will learn the principles and strategies used in the Hospitality industry, and the function of Marketing research. Beverages and Wine Studies – This unit enables students to gain knowledge and understanding of different types of alcoholic and non-alcoholic beverages, its storage, production and support equipment, including cocktails, mixing and garnishes. Rooms Division Operations- Learners develop skills in front office operations, including advance reservations, guest registration, and guest accounting procedures, giving the students the skills requires to work effectively in the Front Office department of a Five Star Hotel or Resort. Additionally, students will receive in house OPERA systems training, for practical skills that are the industry standard in hotels worldwide. Introduction to HRM and Organisations- The aim of this unit is to enable learners to gain knowledge and understanding of current issues, responsibilities, policies, procedures and processes applicable to human resources and organisational dynamics in hospitality businesses. Research Methods 1 – This unit gives students the opportunity to apply their theoretical knowledge of the research process and produce an independent literature review. The tourism and hospitality field is booming so if you want to get qualified to work in the industry then look at the Hotel and Tourism Management Institute (HTMi) Australia! As Australia’s only Swiss Hotel institution they’re all about precision, rigour, discretion and respect for the customer. Be well prepared for a career in management within the hotel and tourism industry with HTMI’s globally recognised Diploma in International Hotel Management. The Swiss-based qualification is recognised for providing high class, state-of-the-art hospitality management training. Have access to outstanding paid internship opportunities, plus use your qualification as a pathway onto further studies. Upon completing your Diploma, you’ll gain 12 units of credit to get into the Bachelor of Business in Hotel Management, at The Hotel School Sydney/Melbourne. Be confident you’re getting one of the best education experiences with HTMI! They are currently ranked 14 in the 2018 World QS Top University Rankings in the area of hospitality and leisure management. HTMI are also dedicated to ensuring the mental health and wellbeing of their students, which is why they offer a free and confidential counselling service to help with personal or interpersonal issues. Students will also have access to academic support services to help you improve study techniques and develop the right skills to succeed. Be sure to keep an eye on their Engagement Calendar, which ensures students stay connected to the campus. The campus features social activities, career counselling sessions, support service workshops, on-campus events and industry networking days. Create strong relationships with fellow students with their full list of social events including movie nights and bowling competitions – just to name a few. Upon successful completion of this course you will receive a Diploma in International Hotel and Tourism Management. Wondering where a career in hospitality could take you? Potential job outcomes may include: Restaurant Manager, Food & Beverage Manager, Functions Manager, Event Manager, Hotel Manager, Reservations Manager, Duty Manager, Chef, Cook, Entrepreneur. 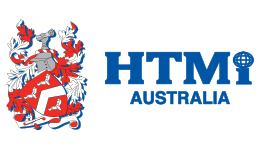 HTMi Australia offers two payment models. A $250 deposit is required once getting accepted followed by six equal instalment payments at the start of each trimester of study. A $250 deposit is required once getting accepted followed by equal fortnightly or monthly instalments. Fill out this form and a Study Consultant from HTMi Australia	will get back to you.